Matching sashes have been a staple of hen weekends for years and for good reason – all members of your group can look sharp and coordinated without wearing completely identical outfits (which might just look at little bit odd). 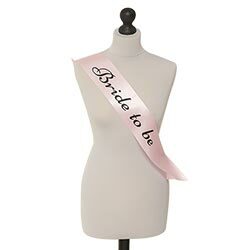 This light pink sash is just for the most important lady of the weekend – the bride to be. 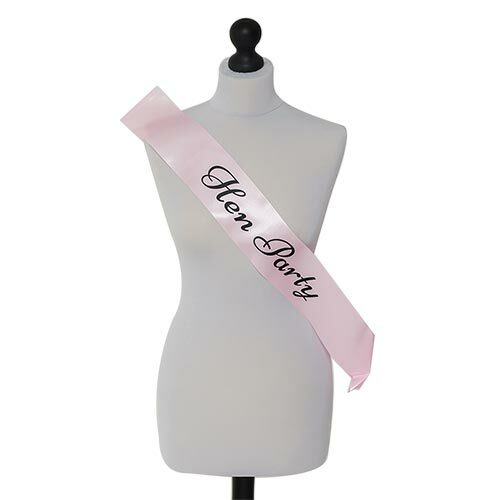 It’s universally sized and made from a lovely, soft satin material. At 9cm wide it’s large enough that the writing is clear enough for everyone to see but it doesn’t get in the way when you’re throwing a few shapes on the dance floor. "Good quality. Great value for money. "